Banned by William of Orange, loved by Michelin starred restaurateurs: Somerset Cider Brandy has become a huge hit here at BI. 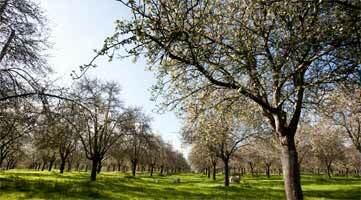 The apple orchards of Pass Vale Farm benefit from impeccable terroir for making cider (and are classified as the very best). The farm has in fact been pressing cider for the past 200 years but the revival of the art of distilling Cider Brandy was led by the company much more recently. Somerset Cider Brandy was eventually granted a licence in 1989 and became the first cider distilling licence in recorded history. Cider Brandy now has been granted a Protected Geographical Indication (like Champagne and Parmigiano Reggiano) making Somerset Cider Brandy the only legal distiller of Cider Brandy in Europe.